Thanks to everyone for another terrific Traffic Safety Week! Congratulations to the two winners of our Positive Pointers draw! Now that Traffic Safety Week has ended we would still encourage everyone to continue safe driving, parking, and pedestrian behaviours, especially with the winter months fast approaching. 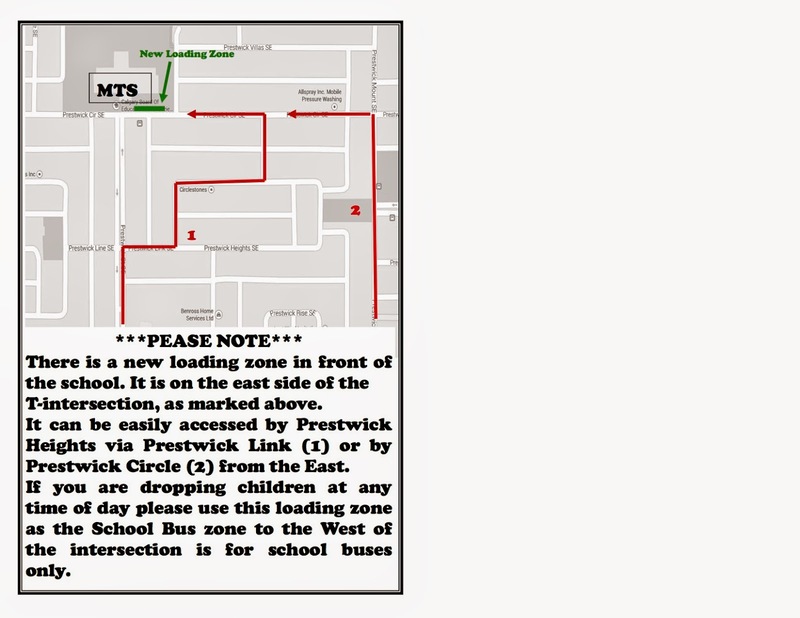 Please take special note that the No Parking zone in front of the school needs to be left free for buses at all times. If you are dropping or picking your children after the bell and would like to go in to the school please use the new drop zone located to the east side of the T-intersection, for easy access to this new feature please see the map below.